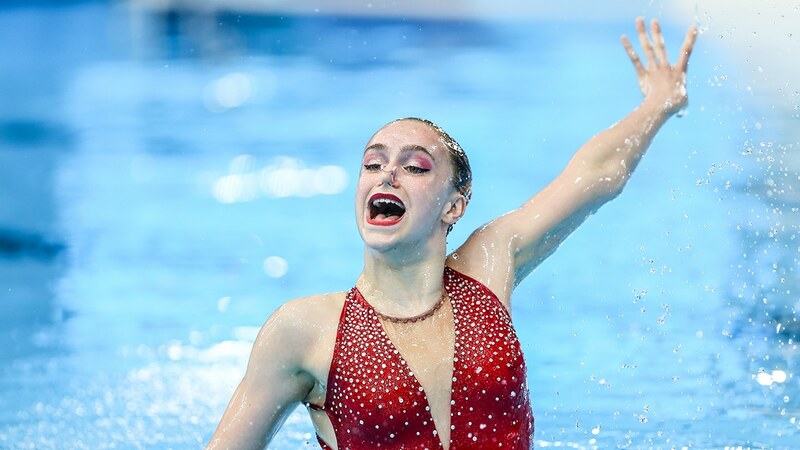 Great Britain’s tartan-clad synchronised swimmers wowed the crowds and secured ninth place for their technical team routine at the European Championships. The Celtic-themed performance saw the eight athletes score 78.0072 for their striking technical routine at the Scotstoun Sports Campus in Glasgow. The crowd was fully behind team members Millie Costello, Greta Hampson, Cerys Larsen, Daniella Lloyd, Daisy Rushton, Harriette Smith, Abi Taylor and Victoria Usher as they executed the routine choreographed by Italian Stefania Speroni. The young team gave a strong and consistent performance, finishing within a whisker of their personal best of 78.0997, which they achieved earlier this year at the Junior World Championships. Olympic champions Russia took home the gold with a score of 94.6000, silver went to the Ukraine with 90.7439 and Italy took the final podium spot with 90.3553. “The team had a good swim,” said Swim England Synchronised Swimming manager Karen Thorpe. “They gave it their all. The new senior elements are very difficult and we have put more time into the junior elements this season, for the Junior Europeans and Junior Worlds last month. Earlier in the day, Kate Shortman secured eighth spot for her solid performance in the Solo Technical Routine. The 16-year-old scored a total of 82.7030 and continued to look at home on the senior international stage. The City of Bristol swimmer has already has a busy year, completing her GSCEs and competing in the FINA World Series in Paris, the LEN European Junior Championships in Helsinki and FINA World Juniors in Budapest. Russia’s Svetlana Kolesnichenko took the top spot with 93.4816, silver went to Yelyzaveta Yakhno from Ukraine (91.3517) and bronze to Linda Cerruti from Italy with 90.2282. “Kate fell off very slightly on one element and was harshly marked because of that,” said Thorpe. “A lot of the senior girls also faltered on the same element, because it’s very difficult. Head to MicroPlus Timing for full results from the European Championships.